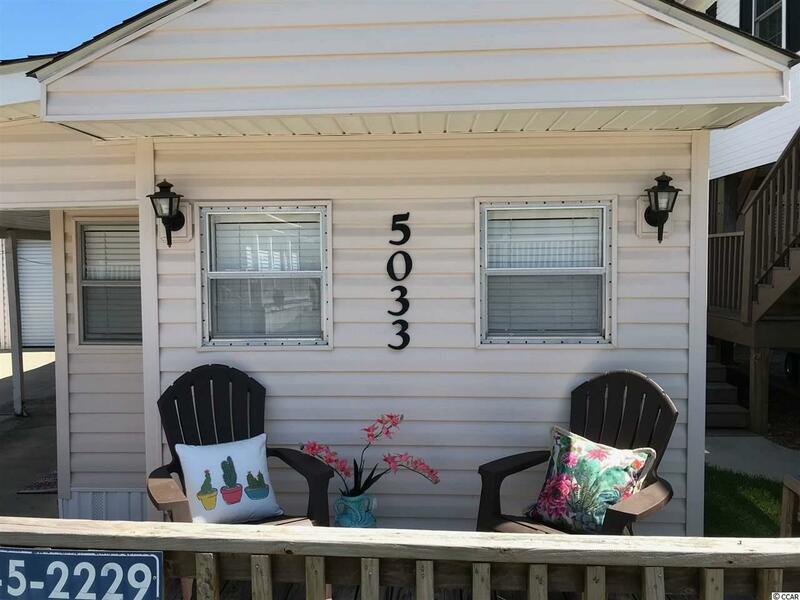 If you have dreamed of owning a beach house in Myrtle Beach...this 2 bedroom, 2 bath beach bungalow is the perfect vacation home for your family! 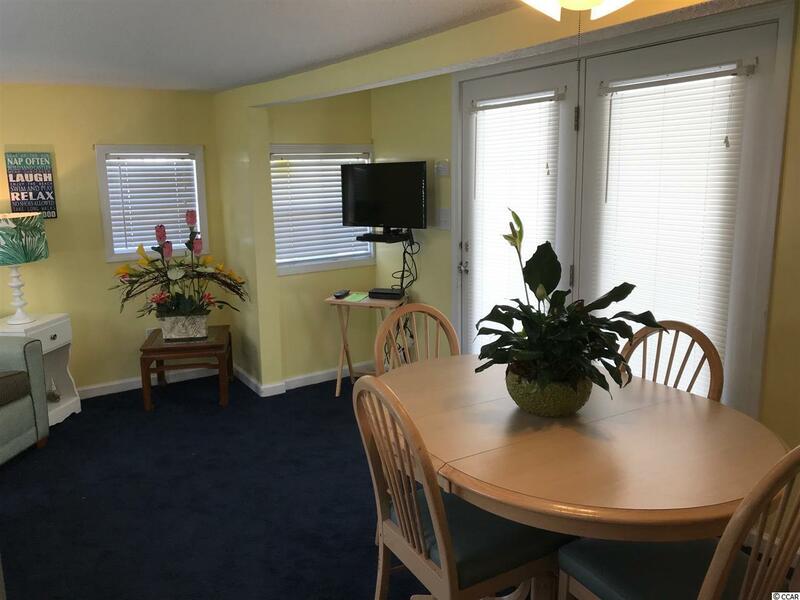 This little gem sleeps 8 and has an established rental history. 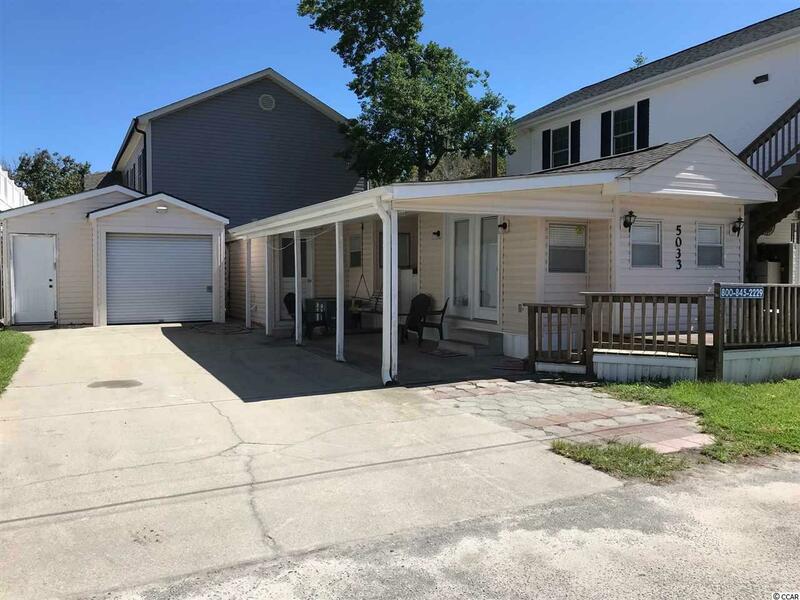 All furniture and appliances convey with this turn-key property. 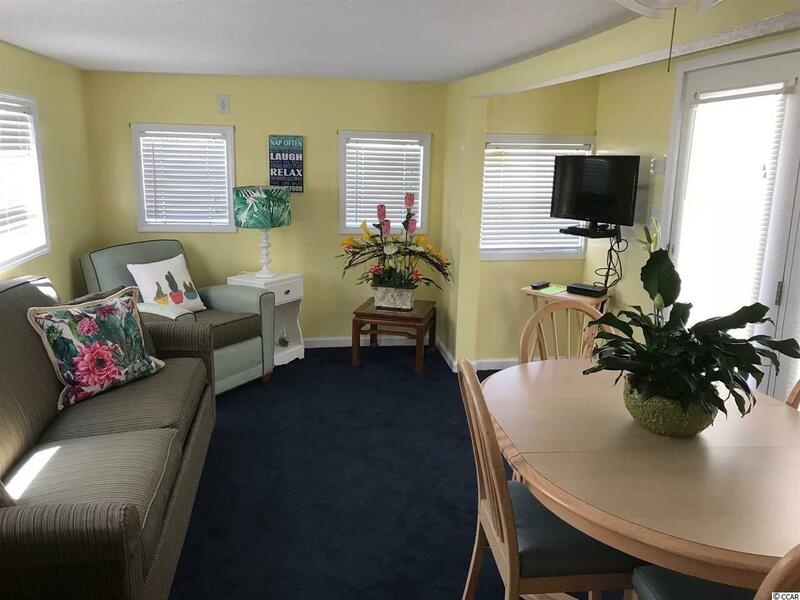 The layout of the bungalow is ideal for beach living with a mud room entrance next to the outdoor shower, an intimate porch on the front, a large covered porch down the side and an immaculate utility building. The largest bathroom houses a stack washer/dryer, storage shelving and an owner's closet. The smaller bathroom includes a tub/shower combination. The kids will love the child-friendly bedroom with a queen bed and bunk beds. Both bedrooms have closets.